Jessica Lahey writes for the New York Times parenting blog Motherlode. It is an excellent and wide-ranging resource. Recently I had the opportunity to correspond with her about a math question sent in by a parent. As is the way in journalism, I had more to say than could make it into the piece. The question (copied below) aims at an older age group (and therefore more advanced mathematics) than the usual Talking Math with Your Kids writing, but the spirit of the advice has relevance at all levels. My husband and I talked to our daughter’s pre-calc teacher about her poor grades. He said many students hit a wall at this point in math, moving from memorization — apply this theorem to this problem — to more abstract, how can I solve this problem, thinking. I accepted that because that’s what is happening for her. What I thought later was, why can’t we find a way to help these many students get over that wall, instead of using it as a tool to weed out less developed brains? There is a whole collection of lovely questions embedded in this note. At heart, the issue is a false dichotomy—between (1) arithmetic/elementary algebra, and (2) mathematics. We tend to treat arithmetic and elementary algebra as being founded on basic facts rather than on ideas. You can go have a look at the #stopcommoncore hashtag to see this trope play out day after day. But it is more subtly embedded in pretty much every aspect of kids’ mathematical development in this country—from the Shapes books parents bring home from the library, to the flash cards and iPad apps they buy for their children, to curriculum and classroom instruction many experience in American elementary schools…right straight through to the ways that institutions such as mine approach developmental (i.e. remedial) math at the college level. Did someone say “shapes book“? There is a portion of the population that can make sense of a big picture by putting together lots of individual details. This portion of the population tends to be more successful in math and science because they can function in math courses as currently conceived. But many, many people shape their understanding the other way—by keeping the big picture in focus and working out the details when they come up. One way to think about this is with a navigation metaphor. There’s a lovely classic math ed article by Richard Skemp titled “Relational and Instrumental Understanding” (warning: paywall) that works with this metaphor. I’ll give you the short, updated version. Think about the difference between the directions you get from a GPS as you’re driving, and the directions you get from a person who knows both you and the city you are navigating very very well. GPS tells you when to turn and which direction, always getting you where you are going. But you don’t learn your way around a city by following GPS directions. The knowledgeable person, though, will remind you about the restaurant you walked to the other day, and other landmarks, road names and places that you’re familiar with. The knowledgeable person helps you to expand your knowledge of the city by talking about it in ways that involve relationships. GPS only gives you the next step (and a crappy map). Let’s say you’ve been driving around Scranton, PA for a week following GPS directions. Does your lack of knowledge of the city reflect on your capacity to learn urban navigation skills? I would say “No”. It is more reflective of the fact that you never received any instruction in how the city is laid out. And it’s the same with math. That the young lady in question is struggling to navigate this particular curriculum transition doesn’t reflect on her as a learner so much as it reflects on the difference—which should not exist, but which the teacher cites—between how math has been taught to her in the past and how it will be taught moving forward. 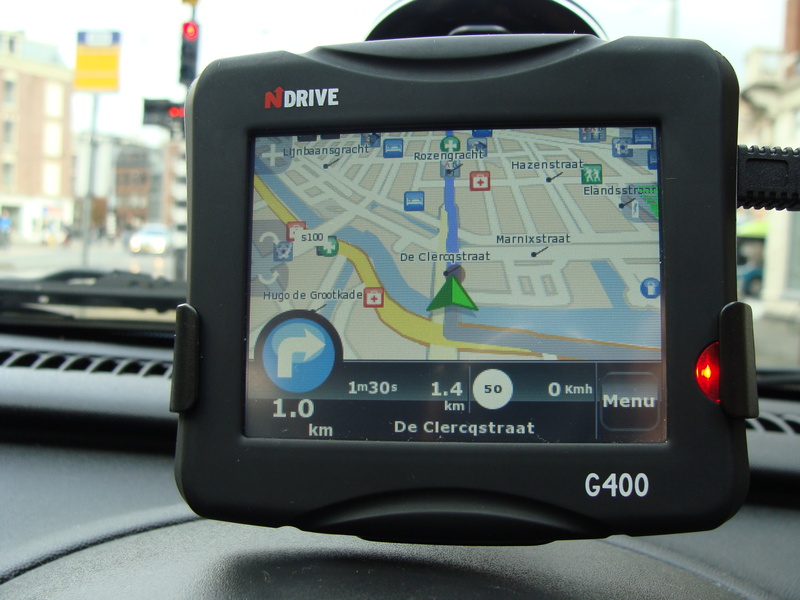 GPS directions are not the city anymore than standard algorithms are mathematics. Each is an efficient and convenient way to get a particular job done. But neither one should be expected to support learning the big picture in large portions of the population. OK. One more thing. Anecdotally, I see this kind of transition hitting girls and young women especially hard. I and others think it is related to the kinds of gender disparities we see in math and science—surely not the only contributing factor, but not an unimportant one either. My father once commented that I have more Tabitha examples on my Talking Math with Your Kids blog than Griffin examples. There are a few reasons for that, but on the whole I’m OK with the idea that my blog over-represents the mathematical thinking of girls. I only wish I had more young children of color in my immediate sphere of daily living—I’d over-represent their stories in a heartbeat! In short, there are serious equity issues embedded in the story the parent tells. We like to pretend that mathematics—being an objective science—is immune to these issues, but it just isn’t so. (1) Get specifics. What are some specific examples where this student needs to understand the big picture, but is stuck trying to memorize? “Hitting a wall” is sort of the opposite of actionable advice. This family needs to understand exactly what is going wrong. One possible example of what’s happening, relevant to precalculus, is the unit circle. The unit circle is one of the foundational tools for building from right triangle trigonometry to the trigonometry functions (sine, cosine, tangent, etc.) that are essential for work in Calculus, engineering and the sciences. Many people (teachers and students alike) treat the unit circle as a series of subway stops. See the image at this link (and pretty much any image in a Google search for unit circle). Each point indicated on that circle has two values associated with it, and students proceed to memorize their way towards “understanding” the unit circle. In such a case, finding resources for thinking about the unit circle dynamically would be important. And this is much more actionable than “she has hit a wall of abstraction”. The teacher and tutors should be able to help find such resources. Getting specifics will help focus the student’s efforts. (2) Focus on the big things. This is closely related to the first thing, but a bit more broadly based. See if the teacher can describe the (say) five most important things to learn in his course. I have written an article in Mathematics Teaching in the Middle School (warning: paywall) that argues that keeping our eye on the big ideas of rate of change (slope) and functions is important to success in calculus, but sorely neglected in favor of a thousand algebraic skills throughout middle school and high school. I don’t believe every decision we make in 6—12 curriculum should be based on an assumption that Calculus is the summit all kids should scale, but if this young lady is in Precalc, it’s because she’s moving on to Calc eventually and she’ll need these two ideas as building blocks for that work. If the problem is that she is trying to memorize her way to understanding, then having some small number of things on which to focus—and having names and descriptions for them—will make things easier for her than having vague descriptions of the need to abstract or problem solve. This entry was posted in News and tagged arithmetic, girls, high school, precalculus, understanding. Bookmark the permalink.